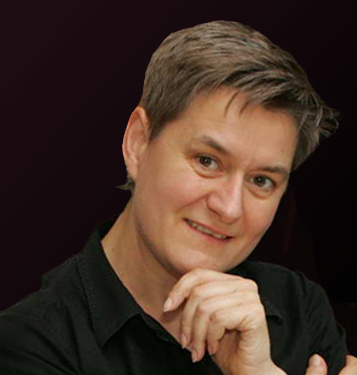 Sabine Höhler, Dipl. Phys., Dr. phil., born in Duisburg, Germany, in 1966, studied physics at Karlsruhe University and modern history and history of science and technology at TU Braunschweig. She received her habilitation from TU Darmstadt in history of science, technology and environment. She is an Associate Professor of Science and Technology Studies at KTH Royal Institute of Technology in Stockholm. In 1999 she completed her dissertation on the topic "Luftfahrtforschung und Luftfahrtmythos. Wissenschaftliche Ballonfahrt in Deutschland, 1880-1910" ("Research and Mythology in Aviation: Scientific Ballooning in Germany, 1880-1910") (Frankfurt/New York, Campus 2001). As a post-doctoral research fellow at the Max Planck Institute for the History of Science in Berlin (1999-2002) she studied the oceanographical exploration of the deep sea in the 19th and 20th centuries. From 2002 to 2007 she worked at Hamburg University as part of the interdisciplinary research project team NEDS "Nachhaltige Entwicklung zwischen Durchsatz und Symbolik" ("Sustainable Development between Throughput and Symbolism") as part of the funding program "Social-ecological Research" of the German Ministry of Education and Research (BMBF). In 2007/08 she was awarded the Environmental History Fellowship at the German Historical Institute (GHI) in Washington, DC. In 2008 she was Scholar in Residence at the German Museum Munich. In 2009 she held a research fellowship at the Institute of History at ETH Zurich, and in 2009/10 she was a research associate at the interdisciplinary DFG Graduate School "Topology of Technology" at Darmstadt University of Technology. In 2010/11 she held the position of senior lecturer/senior research assistant at the Chair for Science Studies at ETH Zurich. Since August 2011 she is Associate Professor of Science and Technology Studies at KTH Royal Institute of Technology in Stockholm, Division of History of Science, Technology and Environment. Since July 2016 she is Head of Division, since July 2018 Head of Department of Philosophy and History. In 2010 she habilitated at Darmstadt University of Technology, Department of Social and Historical Sciences, and was awarded the venia legendi in history of science, history of technology, and environmental history. Her habilitation thesis titled "Spaceship Earth: Envisioning Human Habitats in the Environmental Age" explores technoscientific constructions of the environment as a closed living space during the Environmental Era of the 1960s and 1970s (London, Pickering & Chatto 2015). She received the Swedish title of Docent in history of science, technology and environment in 2014. Her research interests cover the cultural history of science and technology in the 19th and 20th centuries, the history of space, mapping, and globalisation, environmental studies, and feminist science and technology studies. She is co-editor of a volume on the historical exploration of globalisation and space in the 20th century with the title "Welt-Räume. Geschichte, Geographie und Globalisierung seit 1900" ("World Spaces: History, Geography, and Globalization since 1900") (Frankfurt/New York, Campus 2005). On the global history of national parks she co-edited the volume "Civilizing Nature: National Parks in Global Historical Perspective" (New York/Oxford, Berghahn Books 2012). Between 2001 and 2010 she was a lecturer at Humboldt University of Berlin, International University Bremen (IUB) and Darmstadt University of Technology. Since August 2011 Associate Professor of Science and Technology Studies with Historical Orientation at the Division of History of Science, Technology and Environment. From January 2013 to August 2016 Director of Graduate Studies at the Division. Since November 2014 Swedish Docent in history of science, technology and environment. From January to August 2016 Program Director of the PhD-Program "Studies in the Humanities and Social Sciences of Technology, Science and the Environment" at KTH. Since July 2016 Head of Division. Since July 2018 Head of Department of Philosophy and History. April 2010 – July 2011: Senior Lecturer/Senior Research Assistant, Chair for Science Studies. January 2010: Habilitation, Department of Social and Historical Sciences. Habilitation thesis: "Spaceship Earth: Envisioning Human Habitats in the Environmental Age". Venia legendi in history of science, history of technology, and environmental history. Oktober 2009 – February 2010: Research Associate at the DFG Graduate School "Topology of Technology". February 2009 – July 2009: Research Fellow at the Institute of History; History of Technology. July 2008 – December 2008: Scholar in Residence at the Research Institute for the History of Science and Technology with the project "'Life Support': Experimentalizing the Human Habitat in Space". March 2007; July 2007 – May 2008: Visiting Research Fellow in Environmental History with the project "'Spaceship Earth': Global Awareness and Visions of Living Space in the Environmental Age, 1960s and 1970s". July 2002 – June 2007: Research Associate at the School of Economics and Social Sciences, Department of Economics and Politics. Team member of the interdisciplinary junior research group "NEDS – Sustainable Development between Throughput and Symbolism. Visions of the Economic Construction of Ecological Reality in European Regions" funded by the German Ministry of Education and Research (BMBF) in the program "Socio-ecological research". July 1999 – June 2002: Postdoctoral Research Fellow with the project "Great Expectations: Raumerschließung durch ozeanographische Forschung im 19. und 20. Jahrhundert" ("Great Expectations: Spatial Frontiers in 19th and 20th Century Oceanography"). 1999: doctorate degree (PhD), History Department, School of Humanities and Educational Sciences. Dissertation thesis: "Luftfahrtforschung und Luftfahrtmythos. Wissenschaftliche Ballonfahrt in Deutschland, 1880-1910" ("Research and Mythology of Aviation: Scientific Ballooning in Germany, 1880-1910"). The dissertation project was funded by a dissertation fellowship of the Heinrich Böll Foundation (1995 – 1998) and published with a grant from the German Research Council. 1989: intermediate diploma (BSc), School of Physics. 1992: diploma (MSc), School of Physics. Diploma thesis: "Plasmadiagnostik an mikrowellenangeregten Thalliumjodid-Molekülgasen" ("plasma diagnostics on microwave-stimulated thallium iodide molecular gases") carried out at the Institute of Lighting Engineering, School of Engineering Sciences. 2006 – 2010: regular teaching of courses at the Department of Social and Historical Sciences. 2004 – 2006: regular teaching of "History of Science" and "History of Technology" courses as part of the BA programs "History" and "International Politics and History".